Google has launched a new security program to protect your account from being hacked. The Advanced Protection Program, Google’s next step towards strengthening the account safety is designed especially for people who are at an elevated risk of targetted online attacks. “Advanced Protection provides Google’s strongest security, designed for those who are at an elevated risk of attack and are willing to trade off a bit of convenience for more protection of their personal Google Accounts.” Google said in a blog post. 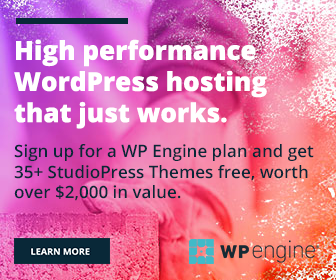 “Once you enroll in Advanced Protection, we’ll continually update the security of your account to meet emerging threats—meaning Advanced Protection will always use the strongest defenses that Google has to offer.” It added. How to turn on Advanced Protection for your Google account? Advanced Protection requires the use of Security Keys to sign into your account. Google has partnered with Amazon to provide those physical devices which cost around $40. They will safeguard your account from security breaches and hacking attempts. No one else can access your data without presenting the connected security keys. It is similar to the two-step authentication, we already discussed. But here, you are not required to input any text code to confirm the identity. Just connect your device, if you are signing from a new computer, browser or device for the first time. Google will communicate, recognize your security key before granting access to use your account. 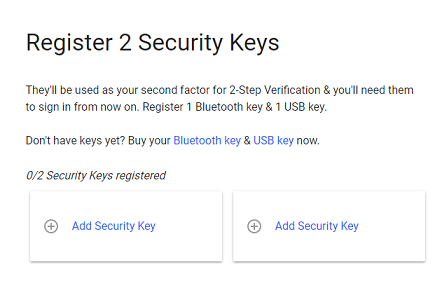 Any Google user can enroll in the Advanced Protection Program, but they have to buy the security keys first. Visit this page to get started. Tap the blue color button to activate advanced protection for your account. Now Google will list the required devices to turn on the feature. One USB security key with Bluetooth connectivity as main and a normal USB key for backup. 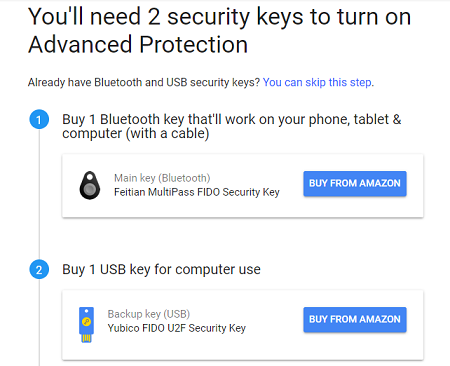 Feitian MultiPass FIDO Security Key costs $24.99 and Yubico FIDO U2F Security Key costs $17.99. Once you got the security keys, go to the next step. Visit the same Advanced Protection Program page and register both your keys with Google. Insert your security key into the USB port of the computer or connect it with a USB cable. If there’s a button or gold disk on the key, tap it. Google will recognize the key and register it with your account. Once the program is activated, Google will log you out from all other devices as a precaution and start from the beginning. Advanced Protection automatically limits third-party apps including Apple’s Mail, Contacts, Calendar apps from accessing your Google data. For now, it gives full access only to Google apps but the list may expand soon. As a result of these changes, you can’t use other apps to check emails, fetch Google Drive data etc. You can manage Advanced Protection settings and even turn off the program through Gmail account settings.